In this review, I am going to introduce to you a guide to the world of thinking and thinkers. A masterpiece for any lover of decisional economics, and I guess, also for philosophers.I apologize for the almost two months without writing a single word on my blog. Lately I have pretty busy with a project which took away most of my spare time besides my professional life. However, I can affirm that the nature of this book might be favourable to a mid-term reading approach, You'll be often provided with brand new terms and concepts which will require a good amount of research, focusing and thinking in order to be digested. I would define this book as a "novel of statistics", with a careful and systematic order of contents and a strong propension to story-telling. All the effort of the author to facilitate readers' comprehension is to be noticed in all chapters. In fact, besides the accademic content, the book could be read by anyone with a slight passion for economics - or for psychology, although a lack of knowledge within the ad hoc terminology will certainly determine a slower reading. His "adapted" writing style detach itself from accademics writing at least as much as to allow a smooth reading rythm. 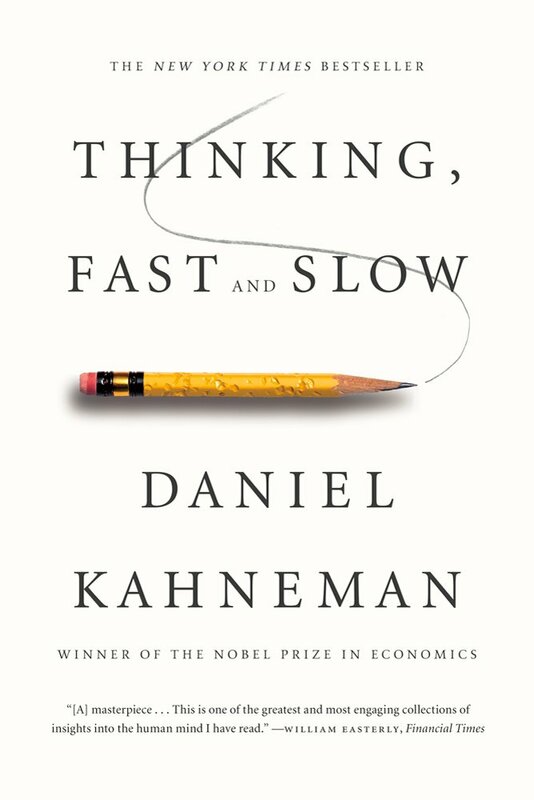 "A life-long trip into rationality" is how I would define the life of Daniel Kahneman, a Nobel-Worth Economist/Psychologist - rather than just a Nobel winner - who revolutioned our way to think of decision, declassing the utility theory and finally introducing the prospect theory. This book will let you face many truths that are all but easy to accept. We, Humans, are exposed to a great number of factors influencing our decisions, many of them taking life into our some mind, and often generatin inconsistent decisions coming from the same individual. The subdivision of our brain - or at least of his way to function - into 2 Systems called "system 1" and "system 2" is in my opinion Kahneman's biggest intellectual property. This frame allow a great understanding of the differens phases involved in the thinking process, then related to the decision making process. A wonderful feature of this reading is to be found at the end of every single chapter. Here, many citations of the researchers who worked with him are given to the readers as a present. I really enjoyed many citations, and many of them helped me understanding concepts and more generally the presented theories. you would love to get to a deeper meaning of "rationality"
I seriously believe that this book changed my way to approach decision making. It made me aware of more types of bias I was not aware before the reading. As I think the author would appreciate, I can state that this book won't keep me away from taking inconsistent decisions, but it will, however, give me a great basis to learn how to set "alarms" that will inform me about the occuring of a situation in which I am more likely to face a specific type of bias. "The most coherent stories are not necessarily the most probable, but they are plausible, and the notions of coherence, plausibility, and probability are easily confused by the unwary". "You will occasionally do more than your share, but it useful to know that you are likely to have that feeling even when each member of the team feels the same way." "Remember that System 2 is lazy and that mental effort is aversive." I would like to thank Professor Kahneman as well as the researchers who helped him achieving his goals. This book should be a part of everybody's life, for a world of knowledge and progress. Thank you for reading my review, feel free to comment and share my post, keep checking my blog for further reviews or visit my .